The port of Montrose has become increasingly popular in recent years with the numbers and tonnage of oil and gas vessels more than doubling since the provision of upgraded deep water berths, heavy lift pads and dedicated short and medium term project facilities. 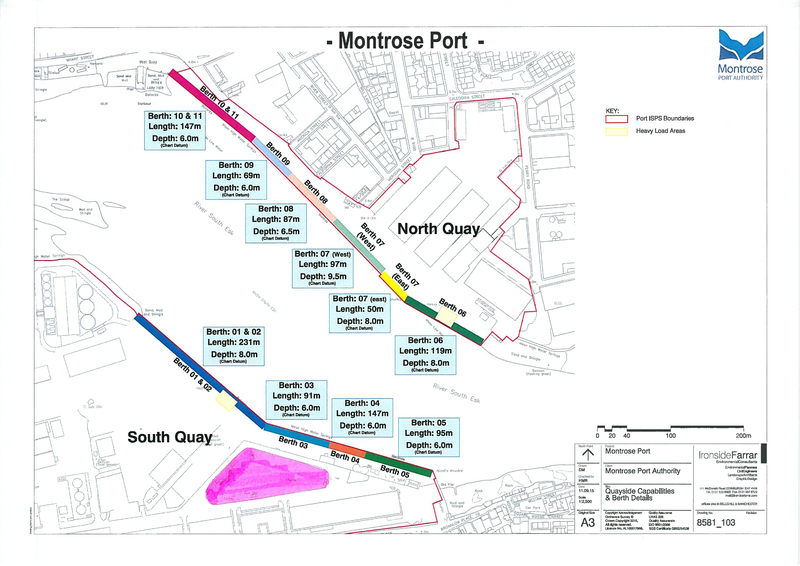 Montrose port is keen to work with energy operators, supply companies and niche specialists in the decommissioning, subsea, DSV, chain, anchor and mooring sectors, and is planning the further enhancement of several more berths from 2017 onwards. Also Montrose’s proximity to several planned offshore wind farms makes it the ideal base for maintenance activities. The port master plan process for berths and facilities has commenced with the reconstruction of berths 7 and 8 commencing in January 2018. Both berths will provide a LAT of 9m with 0.5m under keel clearance.